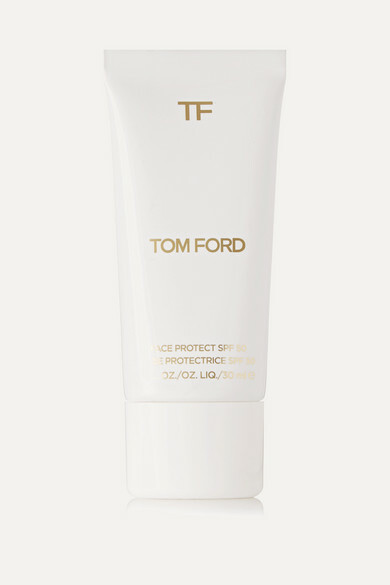 TOM FORD BEAUTY's 'Face Protect' serum contains SPF50 to guard against both UVA and UVB rays. This lightweight and fast-absorbing formula is enriched with powerful antioxidants and anti-irritants to calm the skin and create a smoother base for makeup application. The result is a more lifted and luminous complexion.